Jun. 13 witnessed the opening of Consumer Electronics Show Asia (CES Asia) 2018 in Shanghai New International Expo Centre (SNIEC) as scheduled, staging a grand spectacle for electronics, science & technology and automobile circles. Different from the previous years, a special AI area was newly established this year, to demonstrate the latest application of AI in automobile field. All this has showed us the arrival of a new era featured by AI-empowered intelligent vehicles. The same day also saw a roundtable conference session on the theme of “Secure a Decisive Victory in the New Era of Smart Cars”, at which experts from leading enterprises of connected car industry, including Yi (Bill) Zhang, PhD, PATEO Vice President of Business Operations, conducted in-depth dialogues around the topics of “The Rapid Way to Apply the Emerging HCI / HMI Technologies to Automobile” and so on, portraying the new prospects of smart cars in 2019 and the new trend of industry convergence to us. “The connected car industry is about to transit from the hardware / software / cloud product era to a leaner big data era characterized by a combination of deep marketing / user / sales / vehicle data, against the backdrop of which automobile sector will undergo changes to achieve open cooperation and continuous innovation,” said Ken Ying, founder of PATEO Group, with regard to the future of connected car and reform of automotive industry. Traditional auto companies have noticed the new change, and hope to embrace it, but few enterprises in the brand-new connected car market space could provide the corresponding capabilities, as it’s impossible for a single company to complete the overall planning and arrangement in such a complicated telematics area; therefore, maintaining cooperation and keeping an open mind is a must. The strategic positioning of PATEO as an “intermediary” has given it a head start on other peers, and made it the largest and most innovative connected car enterprise in the world. 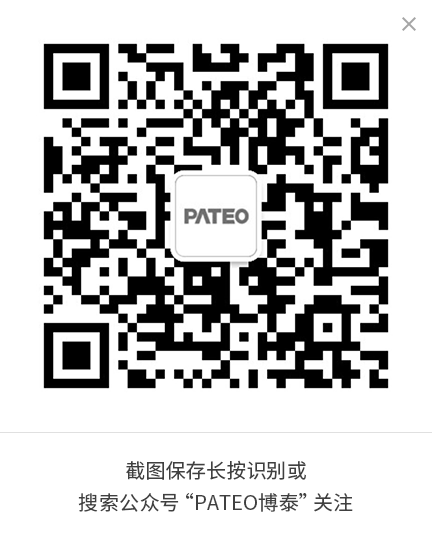 Statistics show that up to now PATEO has owned approximately 1,050 patents, and numerous automobile brands worldwide including Volkswagen, Audi, Porsche, Bentley, Lamborghini, Volvo, Citroën, DS, SAIC Motor, Dongfeng and BAIC Motor are among its clients and partners. By 2019, what would intelligent vehicles have become after being empowered by telematics? According to Bill Zhang, this is much more than a simple change of a big display for intelligent IVI, but rather a brand-new revolution ranging from physical function, interactive mode to emotional experience. The most significant variation trend is represented by the smart digital cockpit concept and the development of the in-car display from big size to “irregular” shape, into which PATEO has gained an insight since a long time ago. The all-new conceptual smart cockpit for Hongqi models, rated as “the most streamlined, the smartest, and the most elegant” by the media on Auto China 2018, was exactly jointly created by PATEO design team and FAW Hongqi. In the coming days, revolutionary changes will also take place in Human-Vehicle Interaction (HVI). The texture of interior used to be unchanged, but in the future the cockpit interior could vary with different personal preferences: perhaps a gesture of vehicle owner is all that is needed for the virtually presented brushed steel plate to change into peach wood; there used to be physical buttons, whereas in the future, the interactive modes will be diversified, and the various functions will be achieved by virtue of chips, software and cloud. Eco-friendly mobility experience will turn into reality. In the future, user will experience on the Internet of Vehicles (IoV) not merely music, navigation, online map and voice services, but rather a complete combination of telematics and the entire sales system of OEMs to form an ecosphere, through which most ideas will come true, and consumption, catering, accommodation and the like will be integrated. The big data generated from High Frequency Trading (HFT) in the ecosphere will bring vehicle owners more benefits. Take durian for example: thanks to the rebate model, durian enthusiasts don’t have to wait for the promotional price of CNY 20 offered by the e-commerce platforms before they can enjoy a preferential price much lower than the regular price of CNY 200. In the internet market, the more users you share with, the more rebate you will get; and in the intelligent vehicle era, with the development of IoV and the increasing user count, a variety of business models are coming into being. To really get traditional automobiles evolving to intelligent vehicles, enterprises of traditional automobiles and car on the internet should conduct open cooperation and share value in a more in-depth and thorough way than ever, and ideally from defining the products, which will possibly become the mainstream of a whole new value sharing model for auto industry. “In view that in the future the overall intelligentization of the complete vehicles will start from the complete vehicle platform development, PATEO is to carry out deep cooperation with companies in this field,” said Bill Zhang, which means the coming automobile will no longer be purely equipped with more features, but will be developed based on the intelligence concept from the very beginning of its birth and initial creation. 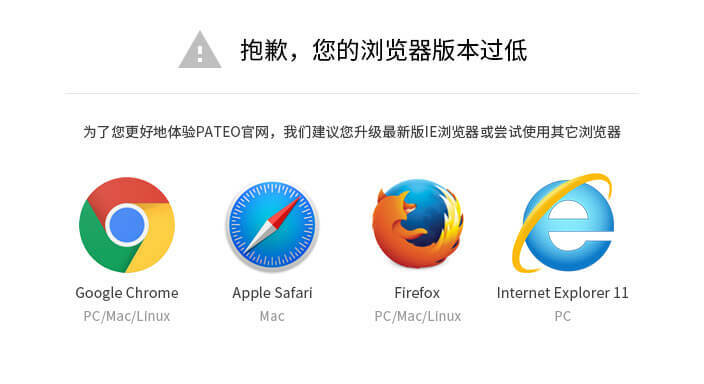 As early as the Dongfeng launch event at Auto China 2018, PATEO has made such an innovation of structuralizing all natural speech and cloud data to enable intelligent system to understand and analyze what vehicle owners really need, e.g. find a best restaurant with WiFi & parking space available and no need to wait for seat. In this case, dining is master data, the other information are additional data, but as far as the vehicle owner’s need is concerned, all these information are indispensable. For PATEO, to build a “Workshop for Final Assembly of Internet Capabilities” to empower OEMs means combining a variety of interactive products, such as T / big data / AI / voice / map / voice communications / OTA / security / account / third-party deep interface / hundreds of CP/SP platforms, including the ones for IoT and mobile phone, so as to provide OEMs with one-stop T services. Future automobiles, by virtue of such seamless integration, will deliver best experience and intelligence to users, thereby helping automakers create value and seize opportunities. In the new intelligent vehicle era, transformation of the automotive industry won’t happen in an enclosed circle; only through open cooperation and continuous innovation and grasping the trend of the times, could our products deliver best user experience. PATEO as a leader is shaping the future of connected car with innovation, integration, cooperation and sharing, which is exactly the future of each of us.